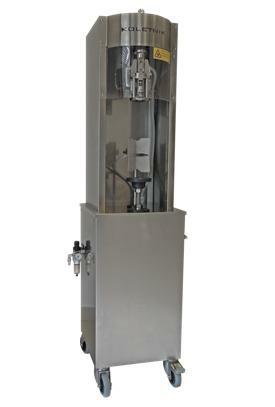 We carry a full line of winery equipmet, including; Horizontal Membrane Presses, Bladder Presses, Hi-tech Filter System, Semi-Automatic Fillers, botteling equipment including Stalvin cappers, corking machines along with valves, fittings, strainers and custom adaptors. version for caps with a diameter of 30 mm and a height of 60 mm – STELVIN 30X60). mouth which means the bottle is adequately sealed. Zip Code ← Invalid format. Phone Number ← Invalid format. How did you find us? Please Select Web Search Referral Wine Industry Network Wines & Vines Practical Winery & Vineyard Wine Business Monthly Americian Distillery Please select an item.